WIN FAMILY TICKETS TO WINGHAM WILDLIFE PARK TO CELEBRATE KENT'S BIG WEEKEND! Get set for a ROAR some day out at Wingham Wildlife Park with free tickets for the entire family! Wingham Wildlife Park can be found about half way between Sandwich and Canterbury, just east of the beautiful village of Wingham. The park is home to over 200 animal species, has huge outdoor as well as indoor play areas, plenty of catering outlets and a breath of fresh air with its green open spaces - just perfect for a picnic during good weather! A number of species can be seen at this wildlife park which cannot be seen anywhere else in Kent, including mandrills, penguins, Nile crocodiles, aldabra giant tortoises and smooth-coated otters. There are even species such as the spix’s night monkey which you cannot see in any other wildlife park in the world! However, there is more to this park than just the animals, with the addition of 29 life-like dinosaur models added to the park in recent years. These dinosaurs all move and roar, bringing the prehistoric era of the dinosaurs to life, for children and adults alike – there are even photo opportunities where visitors can hatch out of an egg or sit in a jeep being chased by the 13 meter long T-Rex! The 13th Kent Big Weekend will take place on 6th & 7th April 2019, when 138 Kent attractions will open their doors for free to thousands of lucky Kent residents. This celebration of tourism, run by Visit Kent, is aimed entirely at Kent residents, inviting them to celebrate the best attractions and activities that Kent has to offer. For one weekend during England’s Tourism Week 2019, Kent residents will have the chance to enjoy a day out in the county, discovering and rediscovering the amazing things to see and do in their home county. Thousands of families across Kent have entered the ballot for the chance to win tickets to a host of top attractions and fun-filled activities across the county for the Kent Big Weekend 2019. Lucky residents who got their hands on pairs or family tickets will be able to tell all their friends and family about how great their county is and help them discover the wide range of attractions available. Some of the county’s biggest attractions have signed up to this year’s event giving residents plenty to choose from - with a select number of pairs of tickets or family tickets available for each attraction. 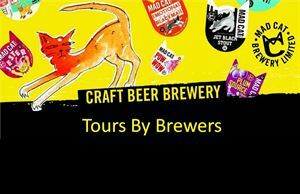 Experiences on offer this year include close-up animal encounters, brewery and vineyard tours and tastings, rounds of golf, family activities, stunning stately homes, relaxing afternoon teas, river tours, castles, fascinating museums and shopping experiences. Attractions confirmed to take part in the Kent Big Weekend for 2019 include Wingham Wildlife Park, Leeds Castle, Dover Castle, Hever Castle and Gardens, Wildwood Trust, Betteshanger Country Park, Ightham Mote, Romney, Hythe and Dymchurch Railway, Kent Life, Jetstream Tours, The Historic Dockyard Chatham, Diggerland, Eagle Heights and many, many more!